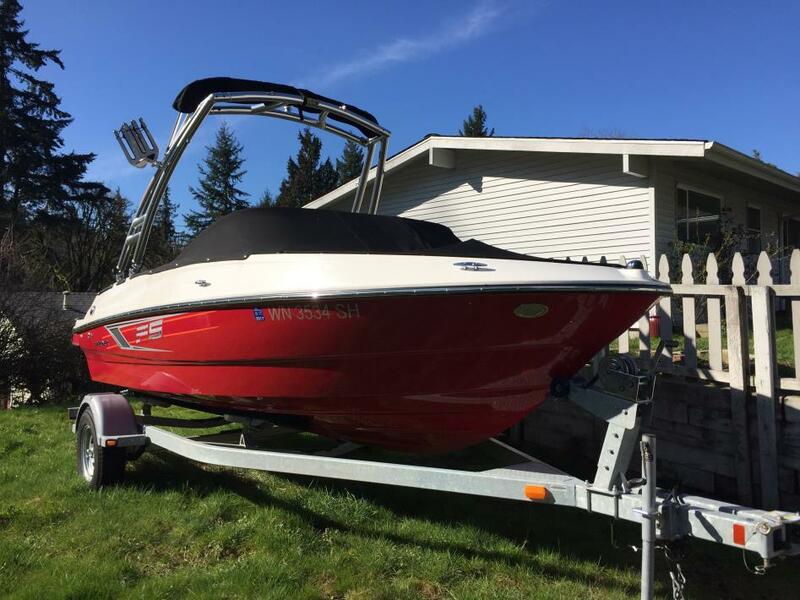 2009 Bayliner 185 Bowrider 2009 Bayliner 185 Bowrider with Bimini top, stereo system, ski storage, 3.0 Mercury Inboard Engine, disc brake Bayliner original trailer, boat cover, have maintenance receipts since owned and just got it maintained/dewinterized last week. 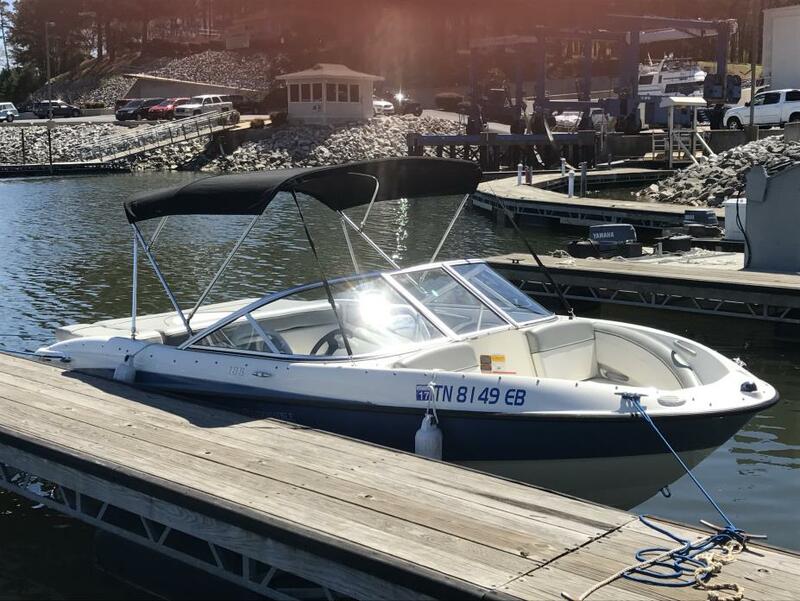 2014 Bayliner 185 Bowrider 2014 Bayliner 185 Bowrider, Showroom condition, less then 30 Hrs. Comes with 135 H.P. M.P.I. Inboard/outboard,Vhf hand held radio, stereo with usb hook up for mp3 music playback by card or phone, anchor kit, new battery switch and battery installed in line, Gps and fish finder, two extra stero speakers installed at the bow, in dash compass, New carpet kit over fiberglass decking, two fishing poll holders installed at stern of boat flush mount, 7 adult life jackets and one child's, Two extra cleats installed at middle of boat for fender tie downs, Three black boat fenders,Extended swim step and ladder, First year of fiberglass decking with removable snap in carpet kit. Trailer made by Karavan. 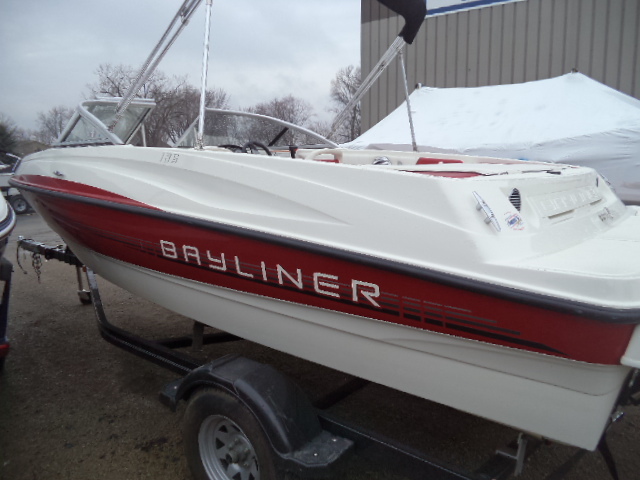 2011 Bayliner 185 Bowrider 2011 Bayliner 185 Bowrider with swim deck and bimini top. Ideal for trailering, watersports. Mercruiser 4.3L V-6 engine, 190HP. 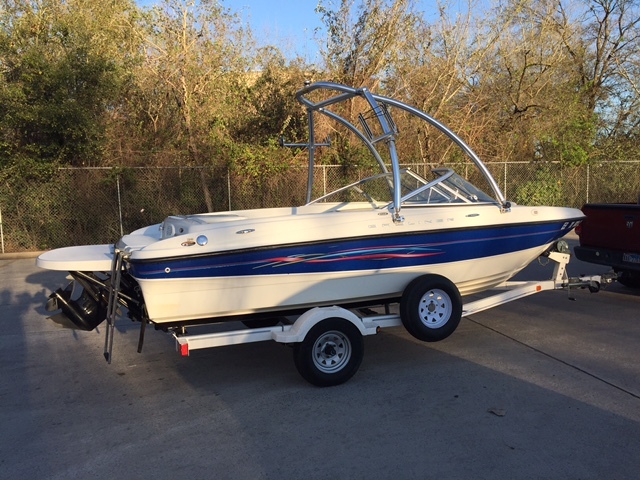 $13,000 OBO Price includes 2011 Karavan boat trailer with folding neck. 2008 Bayliner 185 Bowrider Motor is a Mercruiser 3.0L. Has Bimi top,full boat cover, factory bow and cockpit cover, two speaker stereo and fish finder. 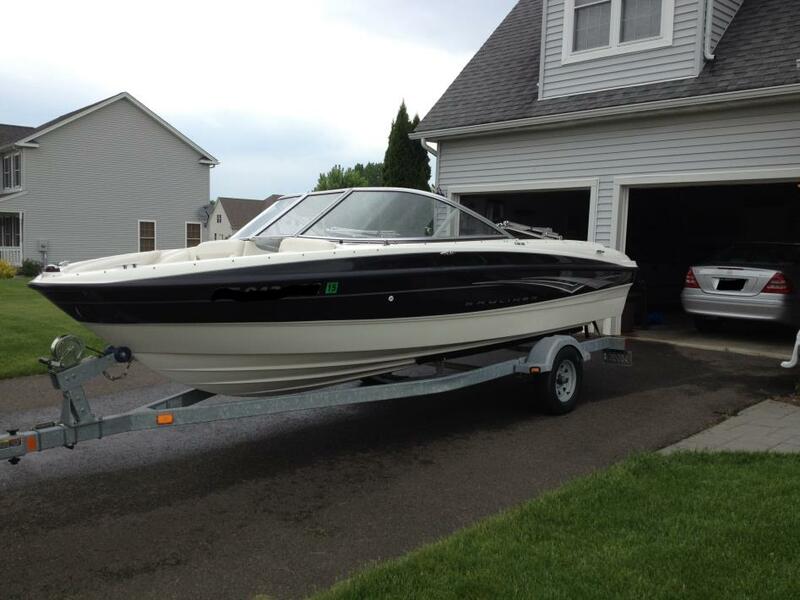 Boat has been professionally serviced at the end of he 3 years I have owned the boat. Full tune up at the end of last season, new plugs, rotor, cap, wires. 2016 also replaced gas lines and added a fuel/water seperator. 2015 replaced cooling hoses and horn. 2014 replaced battery. 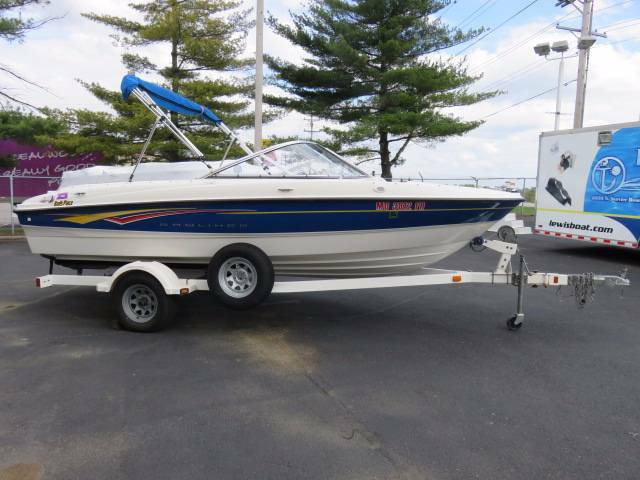 2011 Bayliner 185 Bowrider RELOCATING - REDUCED 2K BELOW NADA VALUE. 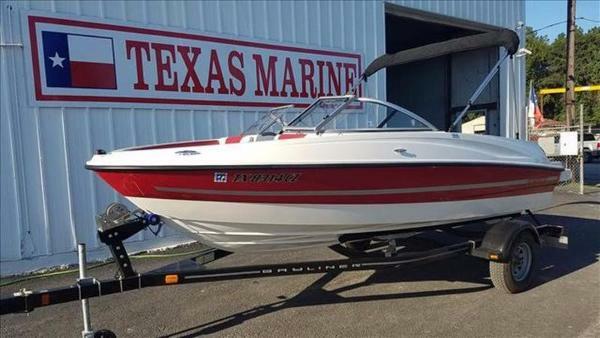 Wonderful opportunity to purchase a gently used boat that was bought new on 9-17-12 at Hall Marina in Thunderbolt and has been kept in covered storage since new. All annual services performed with less than 100 total hours on Mercury 4.3L inboard motor. Recently replaced battery and carburetor. It is an 8 passenger (plus sundeck) boat perfect for tubing and crusing on inter-coastal. Boat includes AM/FM Satellite radio, depth range sonar built in, Bimini top, and full boat covers. Also included are 8 life vests, anchors, and 2-man tube. The trailer is single axle and less than 10 miles on it. The boat has never been trailored. Minor scuffs and scratches on hull but overall excellent condition. Please refer to all pictures. 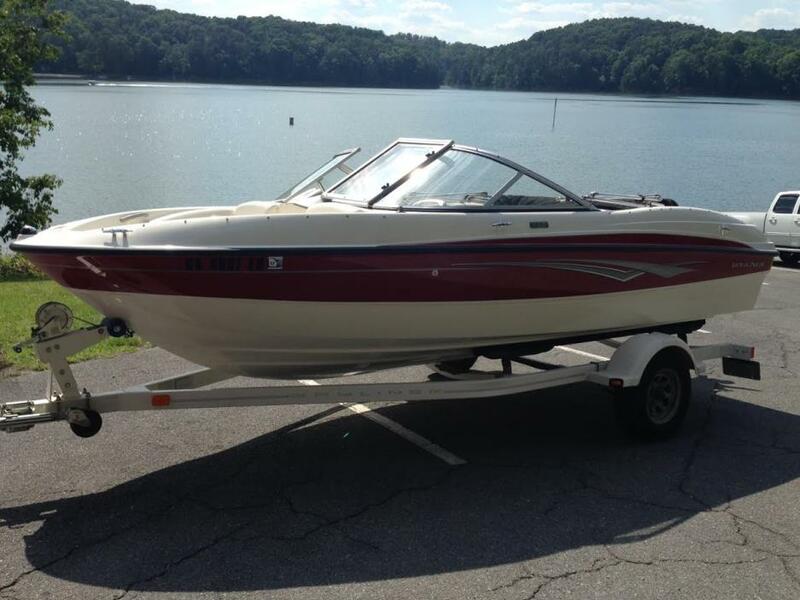 Retail New: $24,500 (with trailer) Asking: $12,900 (with trailer) which is well below average NADA boat value. Please contact me with additional questions. 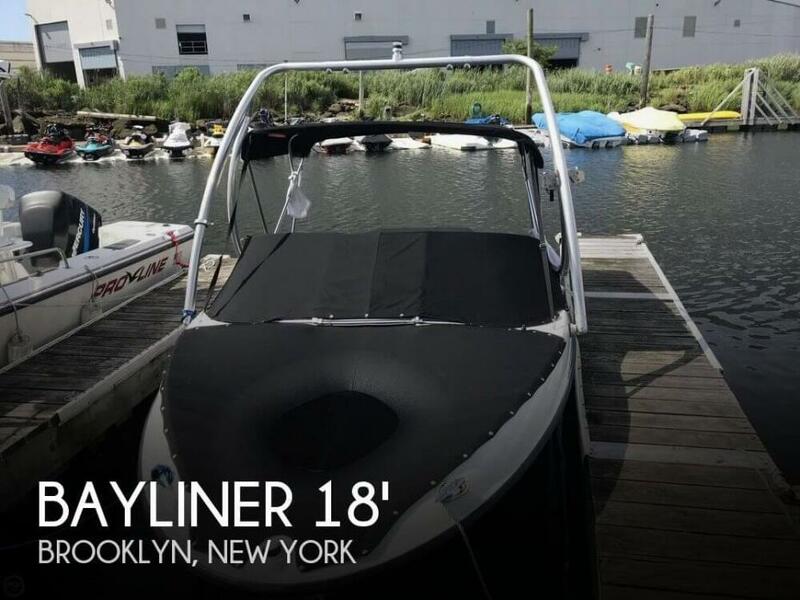 2015 Bayliner 185 Bowrider Flight 2015 Bayliner Bowrider 185 - 4.3L MPI 220hp Inboard/Outboard Like New Condition - Less than 100 hours Beautiful, clean, and powerful boat including Flight Series water sports package (collapsible Monster Tower w/ bimini top), Raymarine Dragonfly depth finder w/ chartplotter, extra battery, great storage, removable carpet throughout, sun lounge, padded swim deck, and lockable swing-tongue trailer. Bluetooth and MP3 compatible stereo w/ speakers throughout. 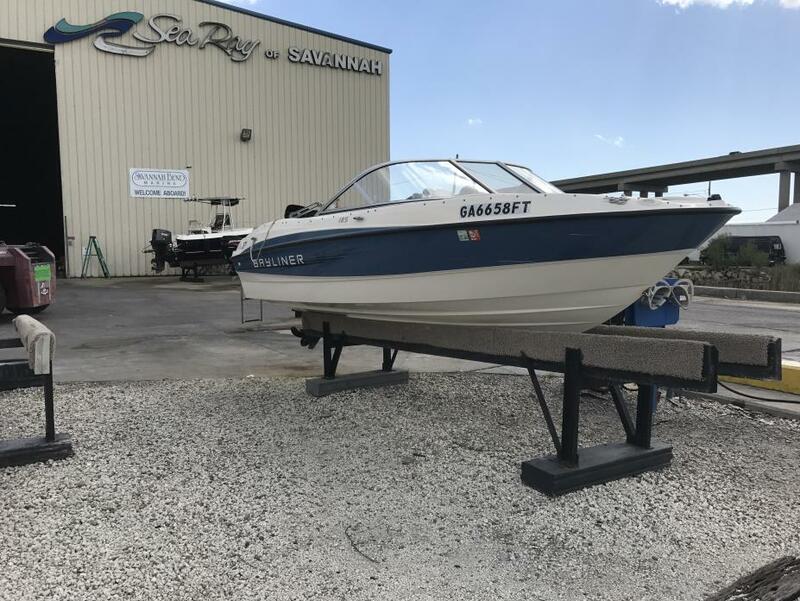 This boat is truly unique as the popular, 185 sized boat was discontinued after 2015 so you now have to opt for a much smaller or larger watercraft. Additionally, the collapsible tower and swing-tongue trailer makes it easy for this boat to fit in your garage. 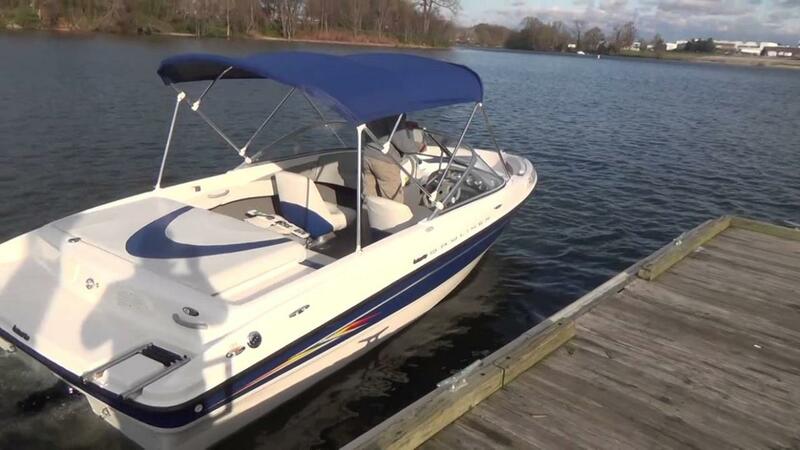 The 185 is perfect for a family and easily seats 6 adults for a day of watersports or just hanging out on the water! Note: pics currently shown with cover on as Seattle's weather has not permitted us to uncover this season yet. If interested, will send additional pics of inside. 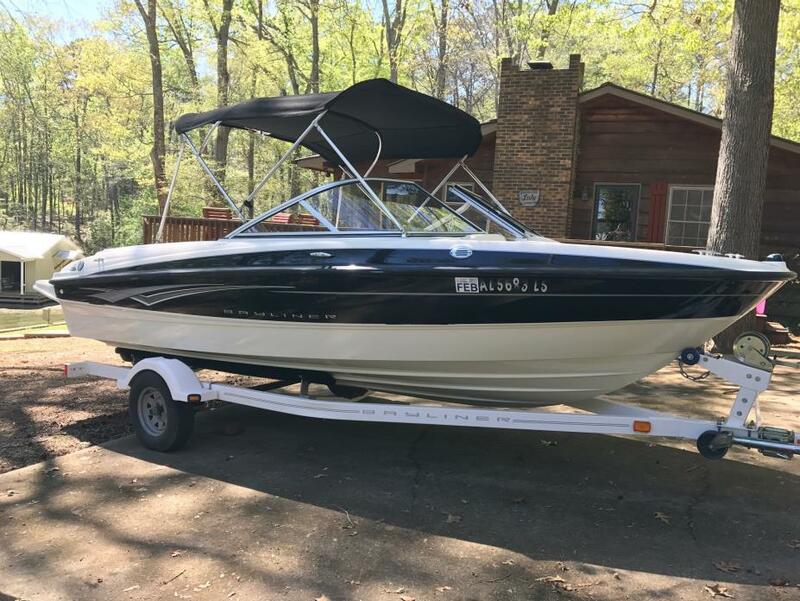 2006 Bayliner 185 Bowrider 2006 Bayliner 185 with Mercruiser 135 HP I/O Purchased New in March of 2007 by the Current Owner. Boat is equipped with a Monster Wakeboard Tower for added watersports fun and an extended swim platform. 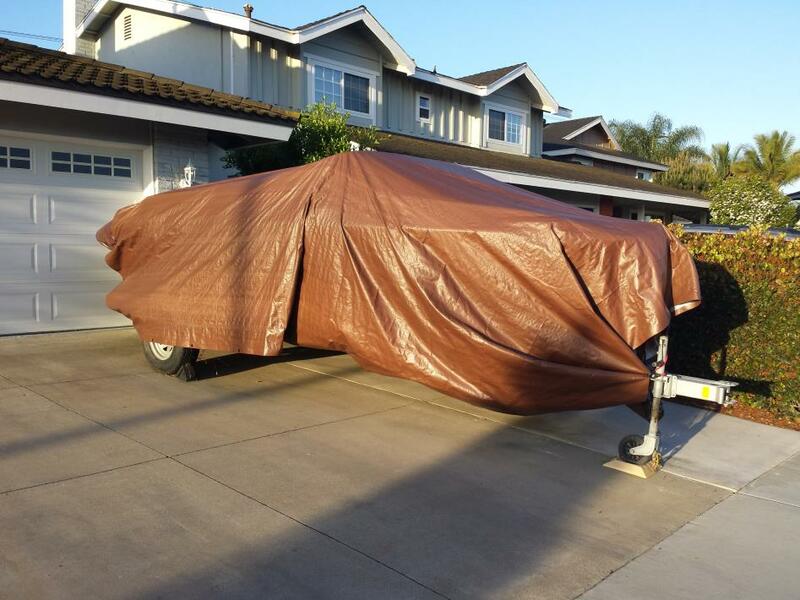 Boat and Trailer come with a Clear Title and are both in Good Condition. 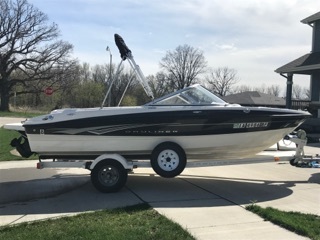 This boat has provided years of fun on the lake and still pulls and runs well. Defects are as follows... As you can see in the pictures, the driver and passenger seat tops are blistered and there is a bad spot on one of the bow side cushions. The boat runs well, but at times the starter motor wants act up and I feel it should be replaced. The radio is the original and will need replaced. 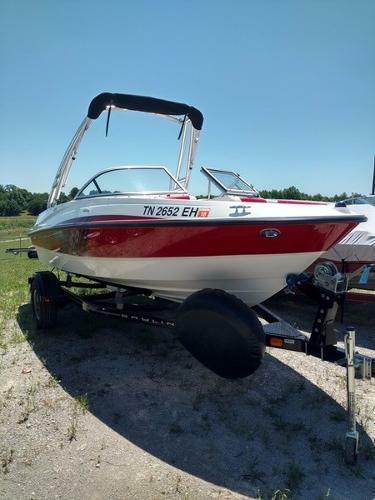 This boat has provided my family many years of fun and is priced to sell and Ready for Summer Fun.